Holden was selected from a group of more than 20 of his peers at GHS. Those students nominated for February 2017 Student of the Month included: Melanie Blair, Brady Bonham, Ecco Bosworth, Ayllah Burton, Bradley Clark, Natalie Conkel, Kiersten Gifford, Farrah Gregg, Justin Horning, Chloe Klepatzki, Alison Longwell, Payton McCartney, Jalyn Oswald, Brandon Powell, David Riddle, Kacie Runyon, Madison Salyer, Emily Saunders, Justin Schneider, Nicole Thomas, Courtney Throckmorton and Kirsten Wagoner. 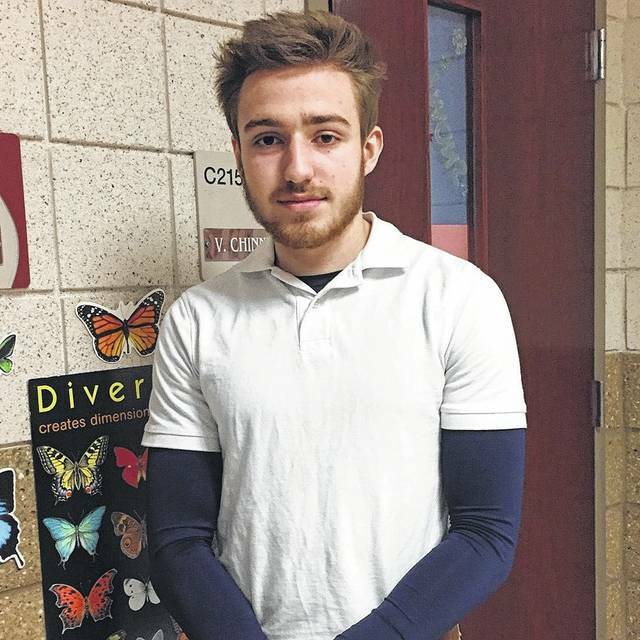 Holden is a member of the indoor and outdoor track teams and helps coach the summer track program sponsored by the Galion Community Center YMCA. He and a fellow GHS classmate produce the school newscast that everyone watches daily. For more information about the Galion High School Student of the Month program, please contact Molly Fairchild at fairchild.molly@galionschools.org.